Emma graduated from Stockholm University with a BA degree in Political Science. She later converted to law with distinction at the University of Law. She joined Wilsons as a Level 2 Immigration Caseworker in July 2014. She has been a supervisor in the firm since October 2014 and qualified as a solicitor in 2017 having completed training seats in our Immigration and Public Law departments. Before joining Wilsons, Emma worked in Sarah Teather MP’s office where she assisted constituents with immigration issues. She spent three years as a Senior Caseworker at Refugee and Migrant Justice (formerly Refugee Legal Centre), preparing and presenting asylum appeals. She was thereafter at Asylum Aid for around three years and became the specialist children’s caseworker. Emma has also volunteered for Detention Action. Emma has been working in immigration and asylum law since 2007. She has a particular interest in representing former victims of human trafficking and unaccompanied asylum seeking children. 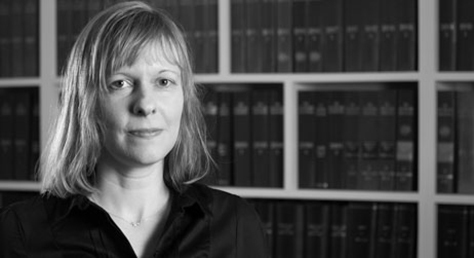 Emma represented the Appellant in the legally important case TG (Interaction of Directives and Rules)  UKUT 00374 (IAC) which determined that the interpretation of paragraph 334 of the Immigration Rules is subject to the EU Qualification and Procedures Directives. Emma has also had notable success in bringing Judicial review proceedings to secure justice for a victim of the Windrush scandal. Languages: Fluent Swedish, conversational German and Spanish.